Kara Byers is an editor and journalist with a grand case of itchy feet and a thirst for adventure. With bylines appearing in Harper’s Bazaar, Metro, Time Out, OK! and White, she’s dipped her toes into most of the world’s seas, got lost in its most chaotic cities and is no stranger to hunting out the ultimate idyllic setting, romantic hideaway or dubious late-night haunt. 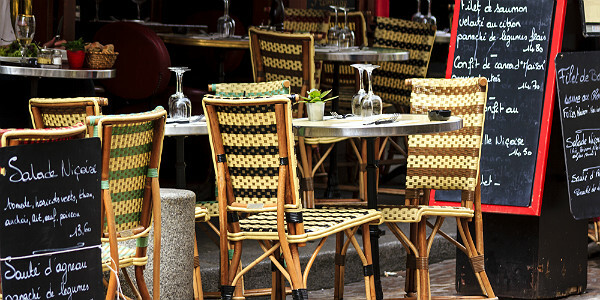 Is there anything more lovely than eating out in the City of Love, Paris? Make like a local and hit these top spots for some serious gastronomic delights. A must-try for dinner, but make sure you call ahead to make a reservation. The three courses for €34 is an absolute steal – and divine! 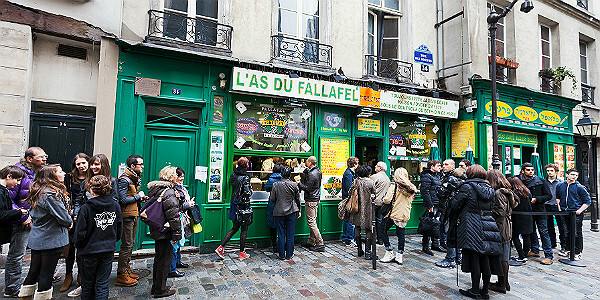 Regarded as one of the best creperies in Paris. Try the galettes (savoury crêpes made with buckwheat flour). This brasserie is a chef’s favorite and another great place for dinner offering a fixed five-course menu every night. It’s essential to call ahead for a reservation. Keep up with Kara and her travels. You can find her on Twitter and Tumblr. How To Get There: Paris has two major airports: Charles de Gaulle Airport (CDG) and Orly Airport (ORY). As of 2012, de Gaulle is Europe’s second busiest airport (behind London Heathrow) and is served by over 100 different domestic and international airlines including American, Delta and United, with nonstop service from Chicago, New York City, San Francisco and more. Information regarding area transportation is available here. Best Time To Visit: Like with many European cities, the cheapest time to visit Paris is January and February. Unfortunately, those months are typically windy and damp, and temperatures are in the 40s, occasionally dipping into the 30s. The best time, weather-wise, to visit is between April and June with it’s cooler temps in the 60s and 70s, versus the peak summer months of July and August when it can get up to the high-70s and sometimes into the 80s.